When I began this blog a year and a half ago, I made it pretty clear from the get-go that while I shunned restaurant, take-out and sidewalk stand food, I’d never attempt to shun drinking in bars. That was beyond my comprehension. It still is, but as time goes on, you learn some new things. And one thing I learned recently is that drinking in — in someone’s kitchen, with a few friends and as little as three ingredients — can be just as intoxicatingly fun as going out. Mind-blowing, right? But the actual science of it is easy. I’ve long been intimidated by the term “home bar.” This conjured images of tilted shelves, sticky cabinets and floors over-crowded with dusty, half-empty bottles of alcohol of every imaginable stripe. But you don’t have to be a rampant collector of booze to throw together a few good cocktails. Most cocktails are merely varitions of one magic equation: 2 parts alcohol, 1 part sour, 1 part sweet. Or so I am told by Tobias Rower, who tends the bar at Gramercy Tavern and was kind enough to treat some friends and I to a cocktail tutorial recently. Let’s begin with the hardware. Not surprisingly, a few good gadgets are necessary to the not drinking out experience, as with not eating out. 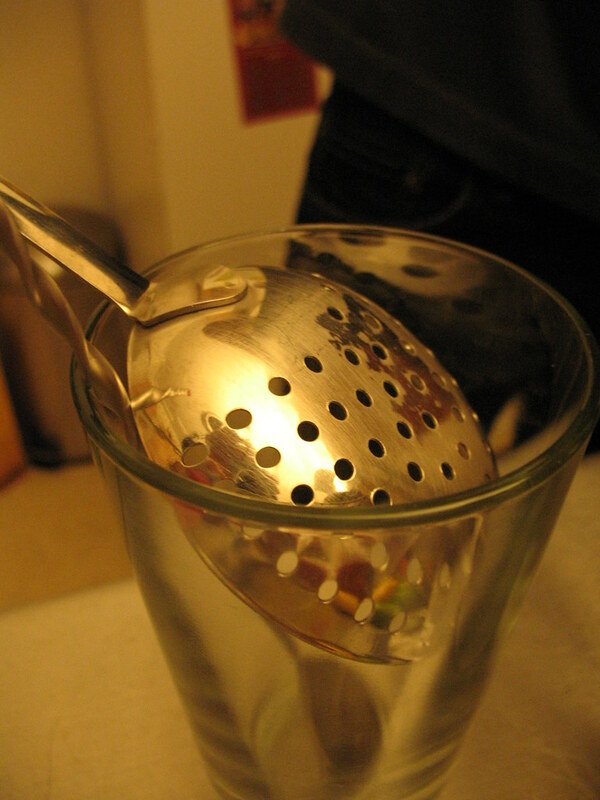 A good shaker with an attached strainer works, but even simpler, you could get yourself a julep strainer that fits atop a regular pint glass to strain a cocktail, which is a little easier to clean than a wire strainer. If you just tilt the julep strainer in the glass, it should align flush with the mouth of the glass so that no ice, pulp or muddled ingredients gets into the finished drink. Likewise, when it comes to shaking up the drink, the key is to get a metal cup or shaker with a rim that fits snugly into the mouth of the glass you’re mixing the drink in. Give the cups a little twist when fitting them together and the liquid on the sides will help create a suction-like effect that prevents any spilling while shaking. When you separate them to pour the drink into another glass, it should release with a “swock” sound. 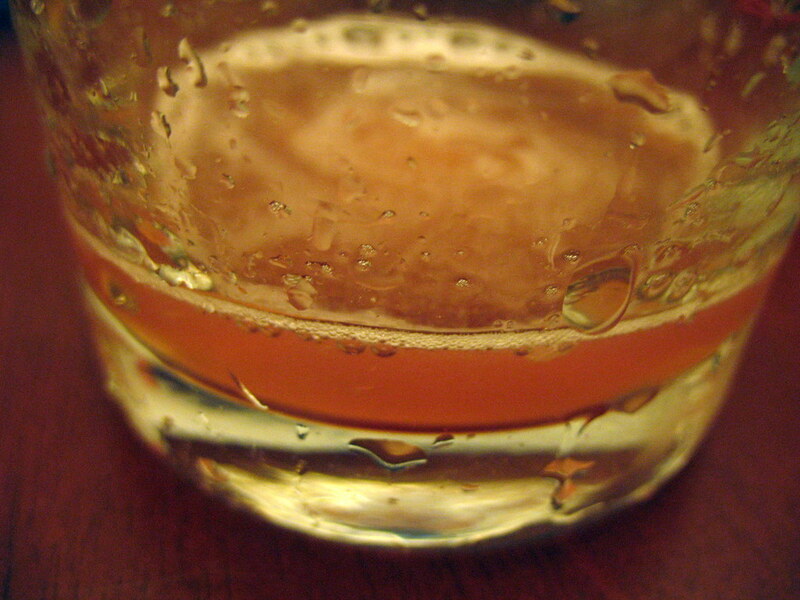 To measure the parts of a drink, the pros will tell you to use a thing called a jigger. Sort of like a two-in-one measuring cup, these metal devices usually have one end that measures out one ounce, and an opposite end that measures out half an ounce (they also come in different sizes). My take is that you don’t really need to get jiggy with it (okay, you knew that had to come) and invest in one of these as long as you have something else to dole out proportions with. Same goes for the bar spoon, if you have some other long spoon to mix drinks with. Tobias concurs that you probably have enough stuff in your kitchen to make these drinks, but the more often you do, the more you’ll find that some tools are just better suited to the tasks. Moving on to gin, we learned that there are two distinct categories of gin: the aggressively pungent, floral, herbal and overall “gin”-y dry gin varieties, and the smoother, more benign Plymouth variety. While the former category includes popular brands like Beefeater, Tanqueray and Bombay, the latter simply includes the brand made in the English town it’s named for, Plymouth. If you’re not a big gin fan to begin with (like Karol, for instance), you’re best off sticking with Plymouth. 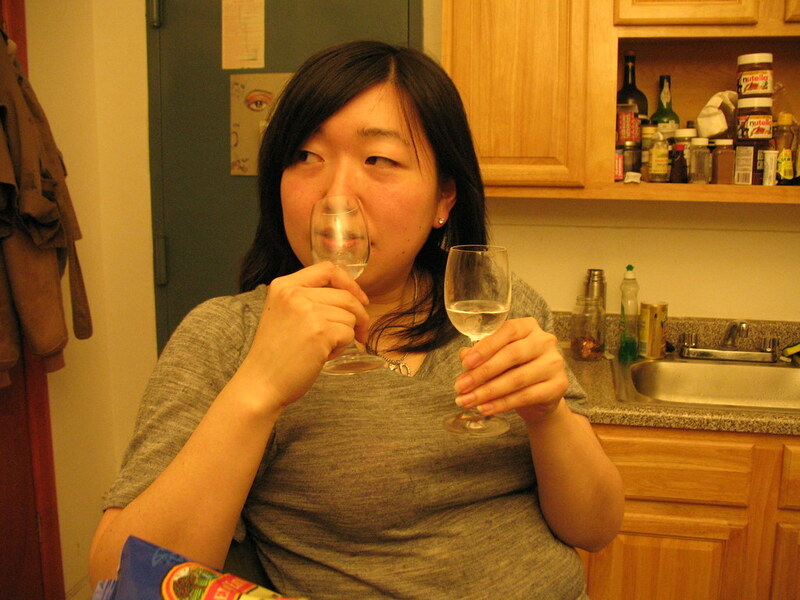 After mixing up a round of Gin Gimlets with both types, Karol found that she actually did like gin after all, as long as it was the right kind. Score one for not drinking out in New York. the gin sniff test: can you guess which is the Plymouth or the Beefeater? This is where the notes I’d been scribbling that night start getting really hairy, and waterstained. After a couple of cocktail-making detours that included the impromptu creation of a “Buffalo Wing” cocktail, we moved onto another classic drink, the Tom Collins. 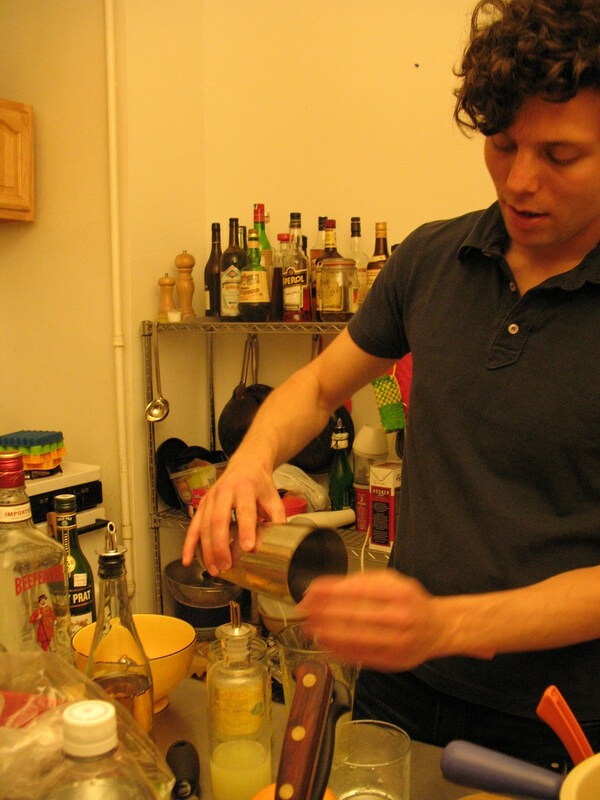 “If you ever want to impress a significant other’s parents, make a Tom Collins,” says Tobias. 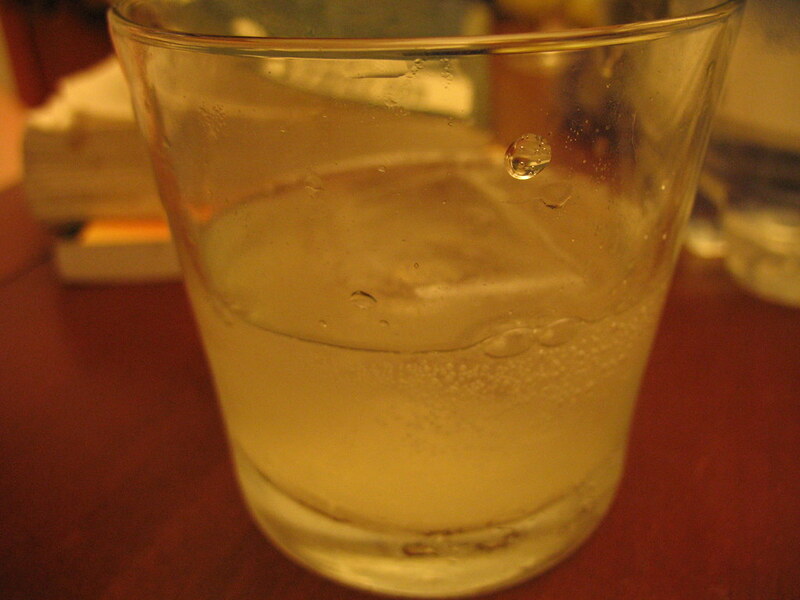 The simple secret here is that Tom Collins is the same exact thing as the GIn Gimlet, only with a spot of club soda. I guess that makes it a 4-ingredient cocktail — gin, citrus, sugar syrup and club soda. But believe me, after trying the previous two booze-heavy cocktails, you might want to refresh with this one next. I’ll end on this sparkling note, for now, and hope to post more not drinking out-related recipes and tips in the future. For me, the greatest lesson from this cocktail lesson had to be the one about not using “cheap” booze. After drinking several more cocktails than this post may lead on, I naturally braced myself for the worst hangover known to man. But as I went through my morning routine the next day, and even as I squeezed myself into a crowded subway for work, I was blithe — it never came. A miracle! So here’s to drinking well at home, and learning new things all the while paying a fraction of the cost for classic bar-drinking favorites. And next time you do feel like drinking out in New York, pay a visit to Tobias at Gramercy Tavern, where the ever-changing, innovative cocktail list is sure to dazzle. Tell him I said what’s shakin’? Combine and shake with ice. 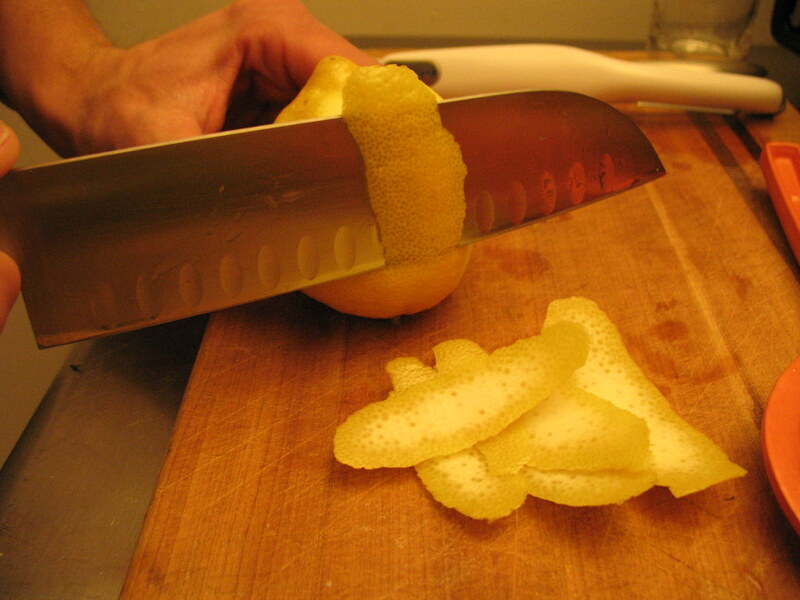 Strain and serve on or off the rocks, with an optional garnish of fresh lemon peel. Combine and shake with ice. 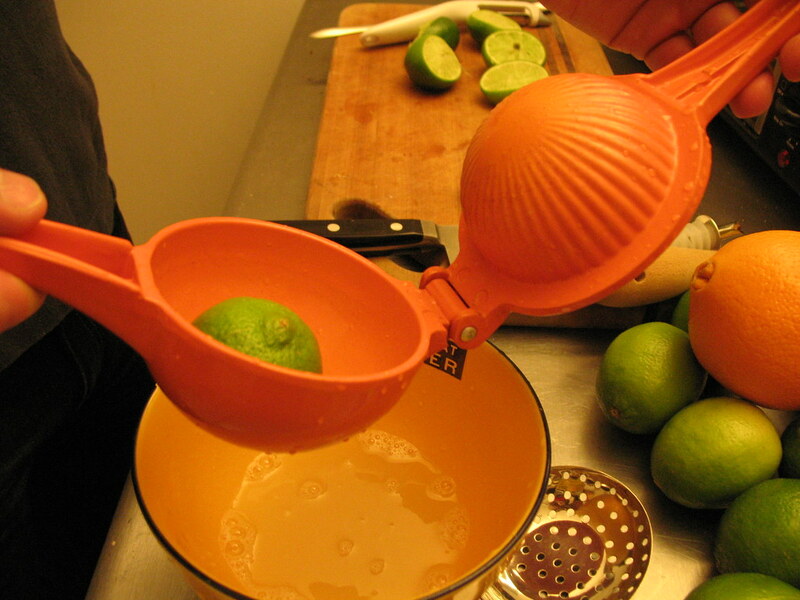 Strain and serve on or off the rocks, with a wedge of lime. Combine first three ingredients and shake with ice. 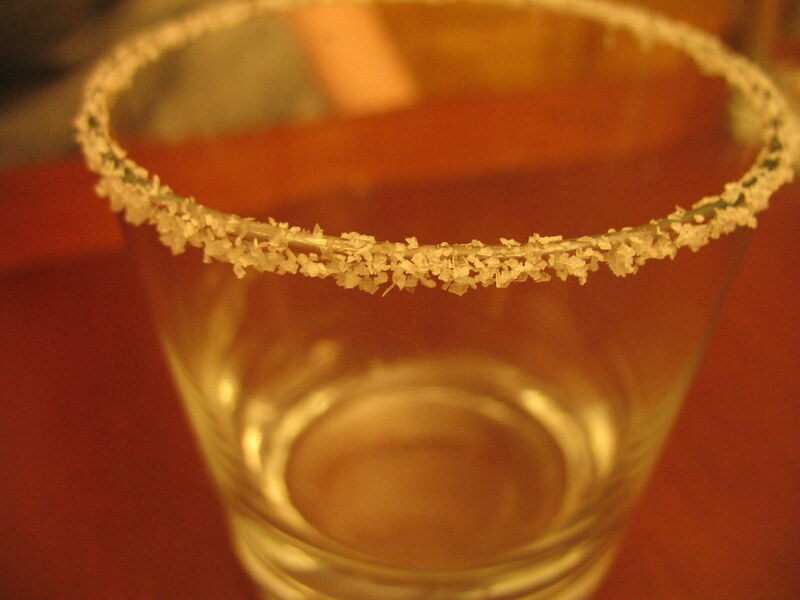 Strain into a glass (with or without ice) and top with the club soda. Garnish with a wedge of lime. Home mixology is so much fun 🙂 One of my favorite home mixers is Reed’s ginger beer, which usually isn’t available at your standard bar. Try a scotch and ginger with Reed’s, or mix the ginger beer with a nice vodka and lime juice for a Moscow Mule. Both are highly addictive, highly qualified excuses to not drink out. 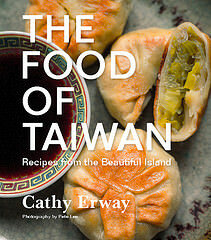 You can also crossbreed these recipes! Try a John Collins, replacing the gin in the Tom Collins with 2 ounces of rye and garnish with a maraschino cherry. this drink advice is really helpful. ever since i stopped drinking soda to avoid high fructose corn syrup, i’ve been at a loss when it comes to mixed drinks, but the idea of using simple syrup and other fresh ingredients is brilliant, it just makes so much sense. Cheers! I stole this one from Back40: lemon juice, maple syrup, & bourbon. We have our “favorites” that we make over and over. We always have single malt in the house for scotch and water. Always have baileys, kahlua, and vodka for mudslides (equal parts of each with ice). 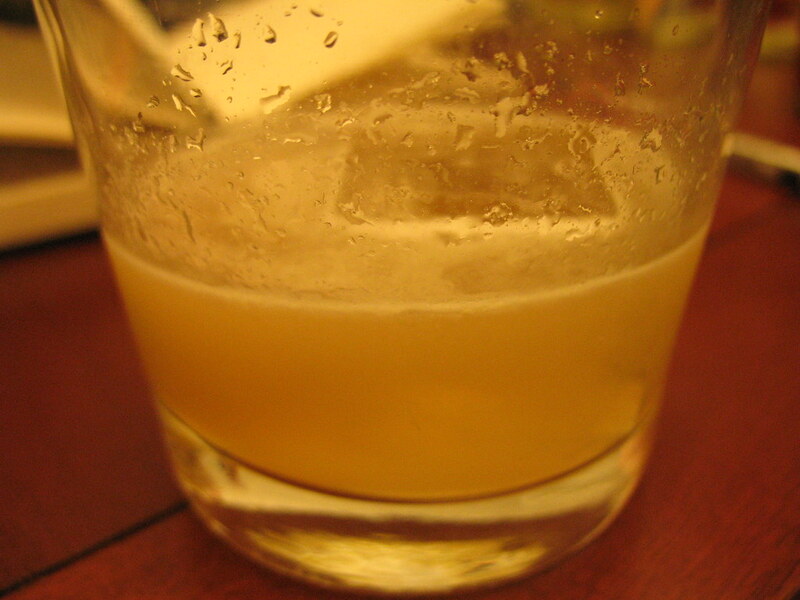 And always have Cachacas to mix with a muddled lime, sugar and ice for a Caiparina. We just figured out Margaritas tonight… 3 parts Gold tequila, 2 parts sweetened lime juice, 1 part apple juice, and 1 part triple sec. Yummy!